Dr. Walid Marrouch was appointed Assistant Dean of Graduate Studies & Research in January 2019. He is an associate professor of economics and served as associate chair of the Department of Economics at Adnan Kassar School of Business between 2012 and 2019. 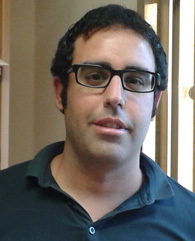 He first joined LAU in 2009 as assistant professor of economics. Between 2007 and 2009, he was part-time lecturer at HEC Montréal, from which he received a PhD in Applied Economics in 2009. He also holds an MA in Economics from Concordia University. In addition to his involvement in academic research, he has conducted consultancy work for a number of international organizations. He is also an Associate Fellow at the Center for Interuniversity Research and Analysis of Organizations (CIRANO) in Montreal, Canada and a Research Fellow with The Economic Research Forum for the Arab Countries, Iran and Turkey (ERF). Benchekroun, H., Marrouch, W., & Ray Chaudhuri, A.(2017). Adaptation technology and free-riding incentives in international environmental agreements. In: Economics of International Environmental Agreements: A Critical Approach, O. Kayalca, S. Cagatay and H. Mihci (eds. ), chapter 11, 204-228, Routledge U.K.
Dibeh, G., Fakih, A. & Marrouch, W. (2019). Labor Market and Institutional Drivers of Youth Irregular Migration in the Middle East and North Africa Region. Journal of Industrial Relations, 61(2), 225-251. Dibeh, G., Fakih, A., & Marrouch, W. (2019). Tourism–growth nexus under duress: Lebanon during the Syrian crisis, forthcoming, Tourism Economics. Coutts, A., Daoud, A., Fakih, A., Marrouch, W., & Reinsberg, B. (2019). Guns and butter? Military expenditure and health spending on the eve of the Arab Spring. Defence and Peace Economics, 30(2), 227-237. Lazkano, I., Marrouch W. & Nkuiya, B. (2016). Adaptation to Climate Change: How does Heterogeneity in Adaptation Costs Affect Climate Coalitions?, Environment and Development Economics, 21(6), 812-838. Marrouch, W. & Ray Chaudhuri, A.(2016). International Environmental Agreements: Doomed to Fail or Destined to Succeed? A Review of the Literature. International Review of Environmental and Resource Economics, 9(3-4), 245-319. Nkuiya, B., Marrouch, W. & Bahel, E. (2015). International Environmental Agreements under Endogenous Uncertainty. Journal of Public Economic Theory, 17(5), 752-772. Bahel, E., Marrouch, W. & Gaudet, G. (2013). The Economics of Oil, Biofuel and Food Commodities. Resource and Energy Economics, 35(4), 599-617. Leroux, J. & Marrouch, W. (2012). Bargaining with Linked Disagreement Points. Strategic Behavior and the Environment, 2(3), 259-277. Marrouch, W. & Sinclair-Desgagné, B. (2012). Emission Taxes when Pollution Depends on Location. Environment and Development Economics, 17(4), 433-443.